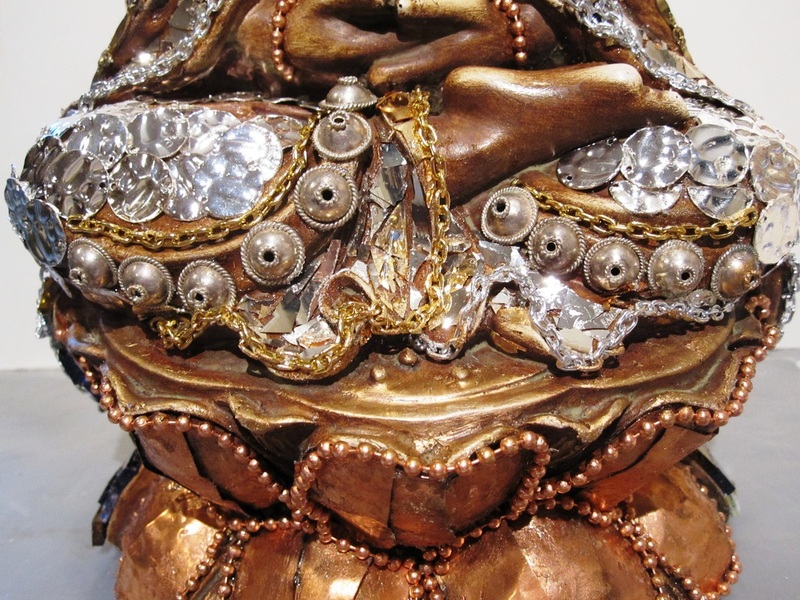 These beautiful Buddhas are one of a kind, handmade pieces of art. 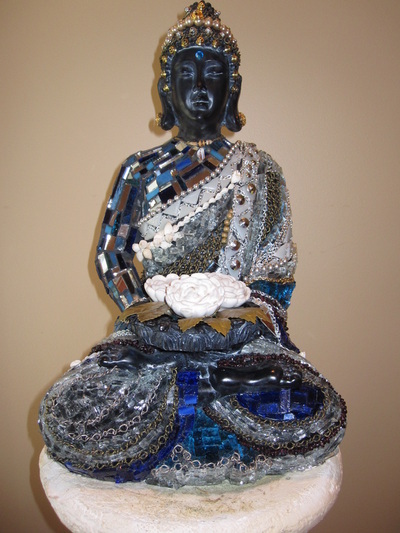 Each creates its own sense of serenity and tranquility. 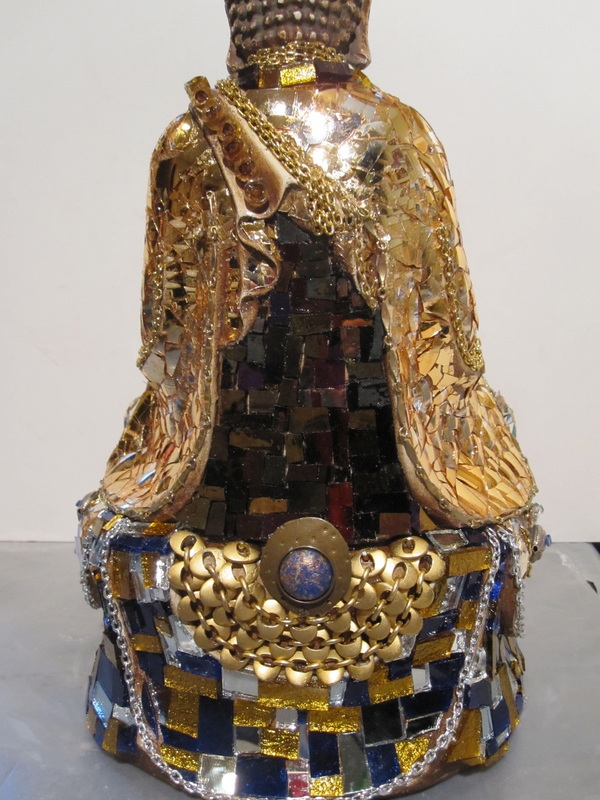 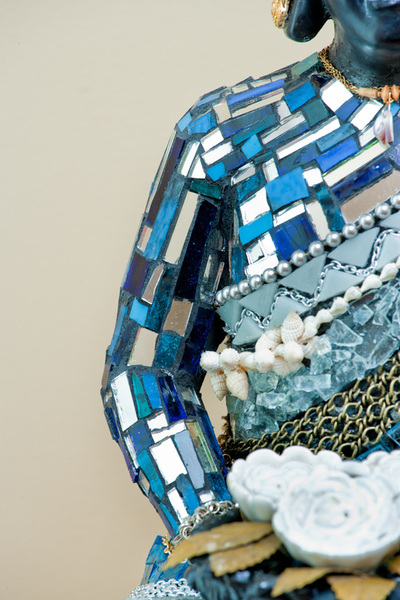 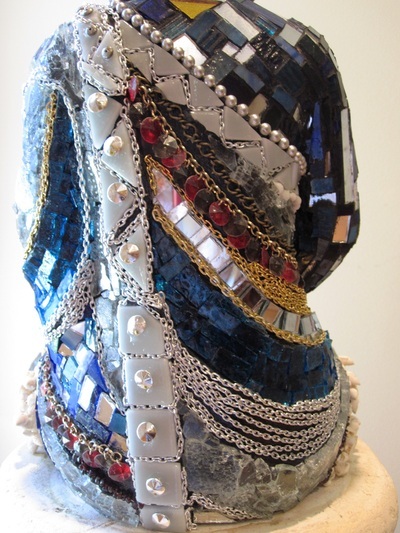 They are embellished with assorted custom cut mosaic tiles, stained glass, mirror, jewelry, metals, and other materials. A peaceful moment of reflection. 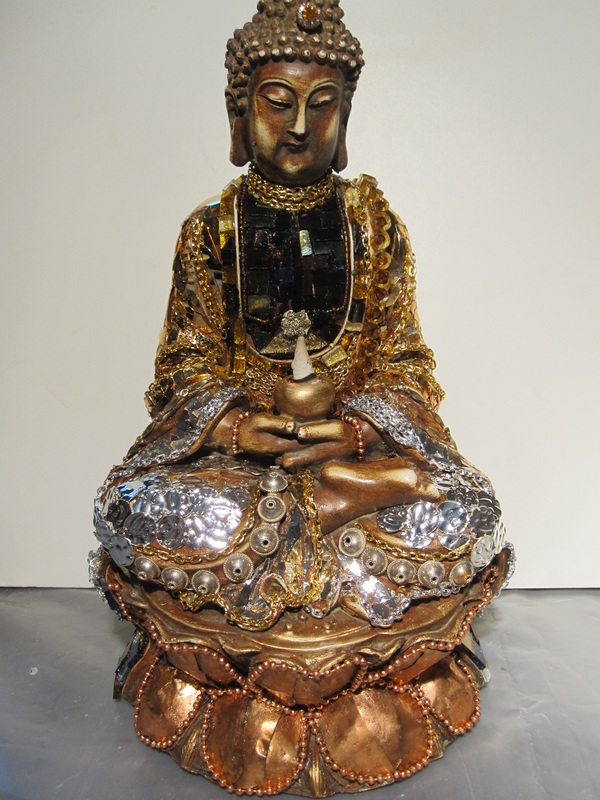 This one of a kind Buddha is a sight to behold! Sitting in meditation at 20", this Buddha will help create a sense of serenity for all observers.